Do you like talking to people and helping others? Eastside Legal Assistance Program (ELAP) has openings for volunteers to answer our phone intake line and help potential clients for our program. ELAP provides free legal services to low income residents of East and Northeast King County, and Domestic Violence survivors from all over King County. As a Phone Intake Line Volunteer, you would staff our phone line and provide intake and referral services for our clients. Qualifications include commitment to ELAP’s mission in promoting access to equal justice, ability to multitask, excellent communication skills, ability to learn quickly and absorb new information, ability to type, computer literate, good interpersonal skills. As a Phone Intake Line Volunteer, you will help low income individuals and families on the Eastside who need legal services but cannot afford them. Low income individuals and families have, on average, at least one situation each year where they need legal advice. You can help us provide these much needed legal services by volunteering as a Phone Intake Line Volunteer. The position is open to all levels. The time commitment is 4 hours weekly for six months, and you would work in our office in Bellevue. Eastside Legal Assistance Program (ELAP) has openings for Legal Advice Clinic Intake Volunteers for its legal clinics. At the clinics, low income residents of East King County meet with volunteer attorneys to discuss their civil legal issues, such as landlord tenant, credit, wills, contract, divorce, or domestic violence. Clinics are approximately two hours and there are between one and three attorneys at each clinic. As a Legal Advice Clinic Intake Volunteer you organize and support ELAP’s legal advice clinics. You help low income individuals and families on the Eastside who need legal services but cannot afford them. Low income individuals and families have, on average, at least one situation each year where they need legal advice. You can help us provide these much needed legal services by volunteering as a Legal Advice Clinic Intake Volunteer. The position is open to all levels. The time commitment varies from 3-12 hours each month for 1 year, and the clinics are located in different locations around the Eastside. To apply for either position: send a resume and cover letter explaining why you are interested in this position to Judith Shoshana, Program Director, 1510 140th Ave NE Suite 110, Bellevue, WA 98005. The Public Defender Service for the District of Columbia (Washington, DC) will interview UW law students on campus at UW Law in September for both summer and post-graduate positions! The specific information is loaded into Symplicity but the application deadline is September 12 so if you are interested do not delay! Learn more about the agency here. 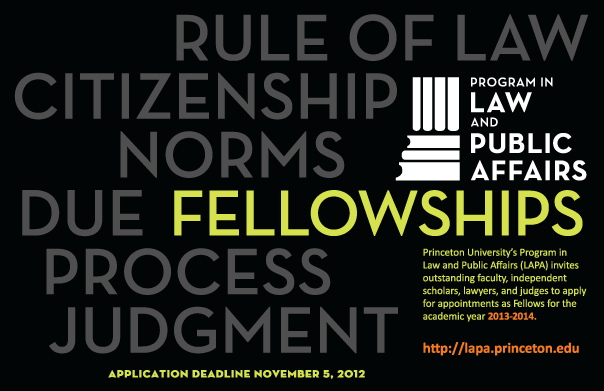 The Program in Law and Public Affairs (LAPA) at Princeton University invites outstanding faculty members, independent scholars, lawyers, and judges to apply for visiting, residential appointments for the academic year 2013–2014. Each year, through its fellows program, LAPA brings to Princeton world-class experts on the law. Successful candidates will devote an academic year in residence at Princeton engaging in their own research and in the intellectual life of the campus. 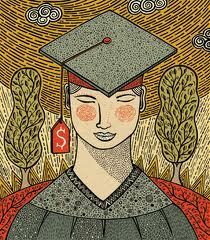 Under exceptional circumstances, applications for only one semester in residence may be considered. Finding the right job is a lot of work. You have to know what you are looking for and then you have to match that to something that is available or that you can create. But eventually you narrow your search to the top positions of interest to you and you spend a lot of time sending out polished resumes and cover letters. Once you get the coveted interview you want to be able to put your best foot forward. 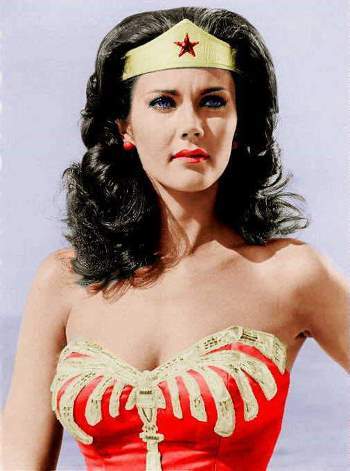 Check out this video on the power of body language and then prepare to unleash your inner Wonder Woman! These webinars are of great value but you must register in advance for the webinars as they fill quickly. Learn more here. If you are a 2L this year who worked with Aline in the past, Amy is available to help you. You can make appointments with her through Symplicity. 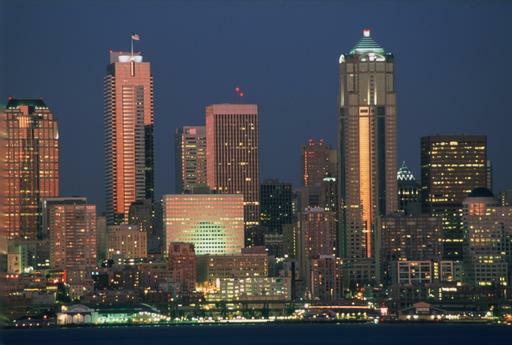 The 21st Annual Consumer Rights Litigation Conference (NCLC) will take place in Seattle, October 25-28. The conference will include more than 17 hours of breakout sessions and plenaries, 57 courses, and top speakers. NCLC’s annual conference is the premier gathering of attorneys and advocates providing aggressive and professional representation for American consumers. For more information, visit the NCLC website.